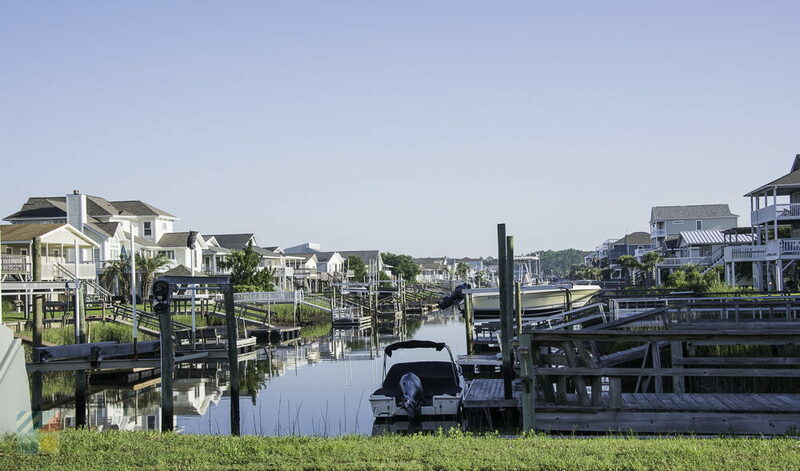 Ocean Isle Beach covers a small barrier island just south of Shallotte, NC and is accessible by driving over a short bridge that expands across the Intracoastal Waterway. Once on island, the landscape changes from the mainland's neighborhood scene into a beach paradise with colorful vacation rentals, cool ice creams shops and seafood shacks, and plenty of palm trees and white sand beaches. 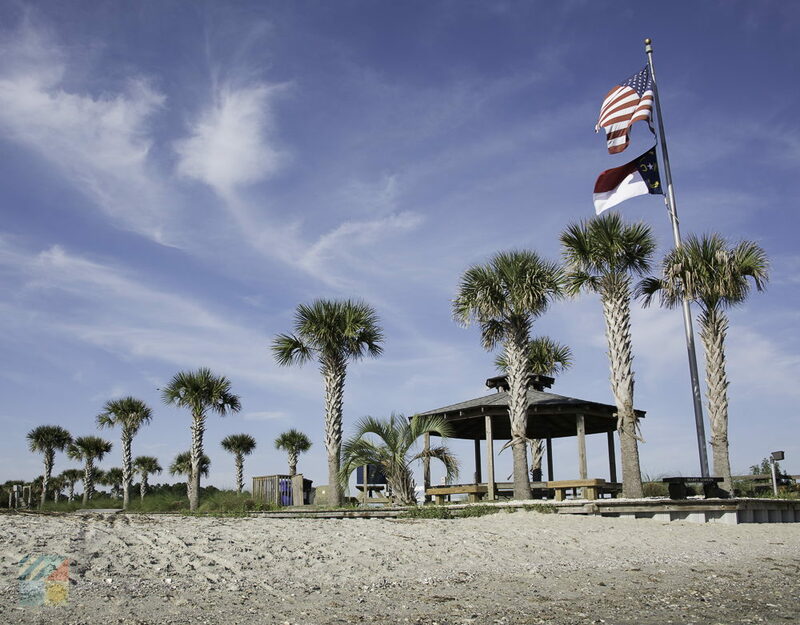 It only takes a five minute drive to access the oceanfront territory, but visitors often feel as if they have been transported to an island paradise as soon as they cross the Ocean Isle Beach Causeway. The island, and the small pockets of mainland that comprise the town, wasn't always the popular tourist spot it is today. 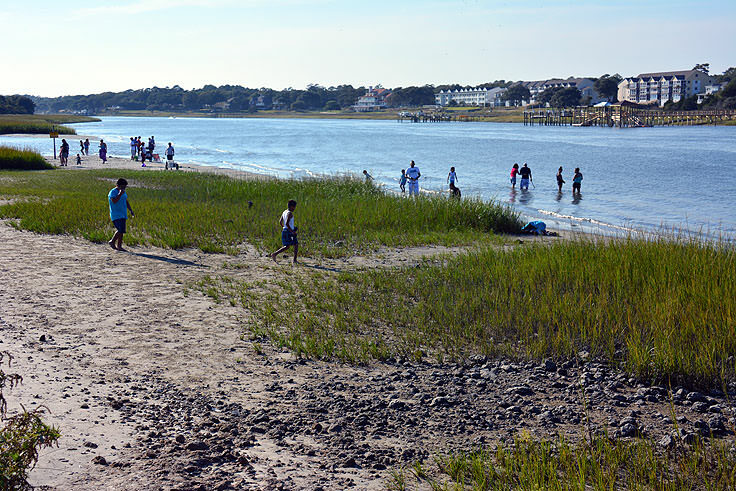 The barrier island was actually a manmade isle, formed when the Intracoastal Waterway (ICW) was cut through along the southeastern edge of North Carolina in the 1930s and 1940s, slightly separating the oceanfront beaches from the rest of the state. Wooden bridges were built to allow vehicular access to the barrier island destination, and as more day-trippers discovered the area after the island was "formed," the community grew with local motels, restaurants, and beachside attractions. In 1959, the town of Ocean Isle Beach was officially incorporated, and today the island boasts an impressive 25,000 visitors every year. 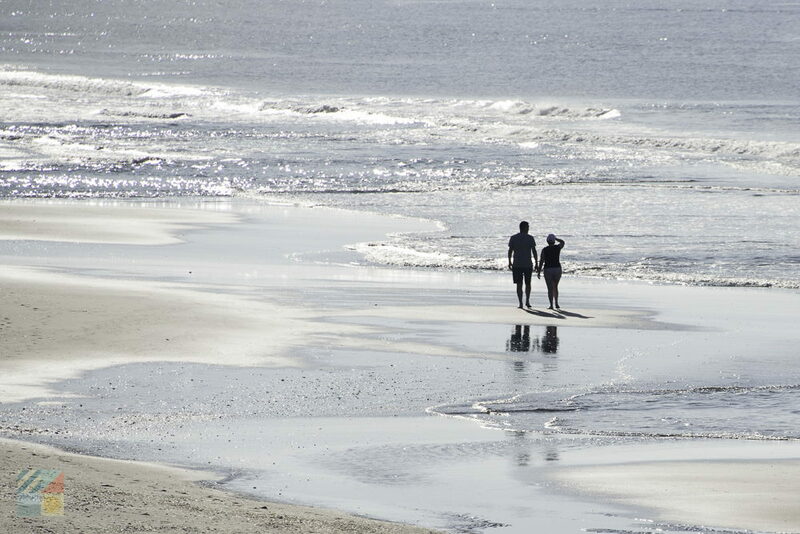 The thin island features seven miles of beaches, with plenty of public beach accesses and free parking stationed throughout the community, ensuring virtually all visitors have an easy route to the oceanside. Accommodating and welcoming, the beaches even have several handicapped friendly public accesses, and the local town police station has four beach wheelchairs which are available for rent daily to the public. 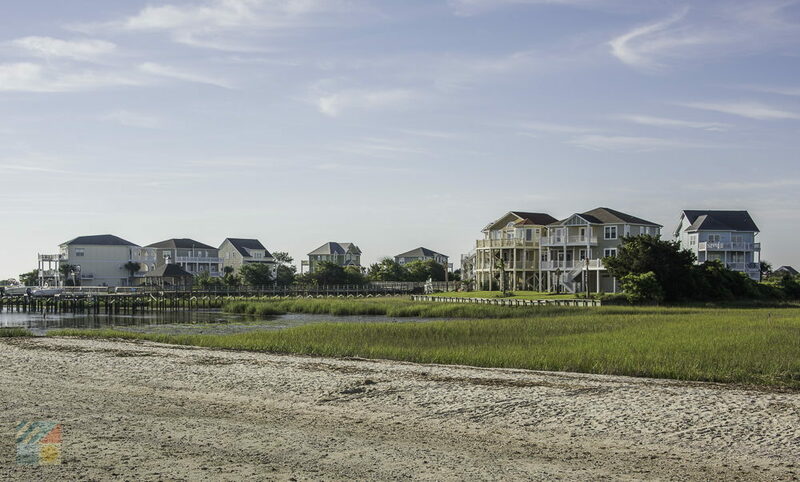 This small example of the local southern hospitality extends throughout the island, and visitors will feel perfectly at home on Ocean Isle, with virtually everything they need to create a great vacation. 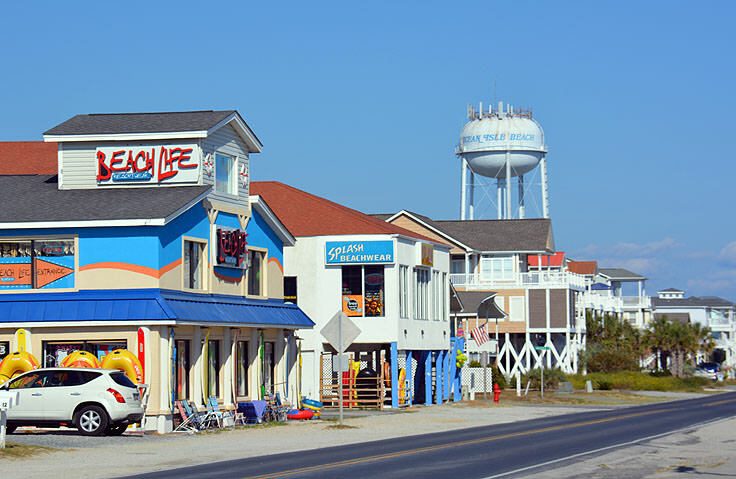 The island features a number of beach gear and souvenir stores, in addition to local surf shops for all the boards and apparel required to dive into a new watersport. 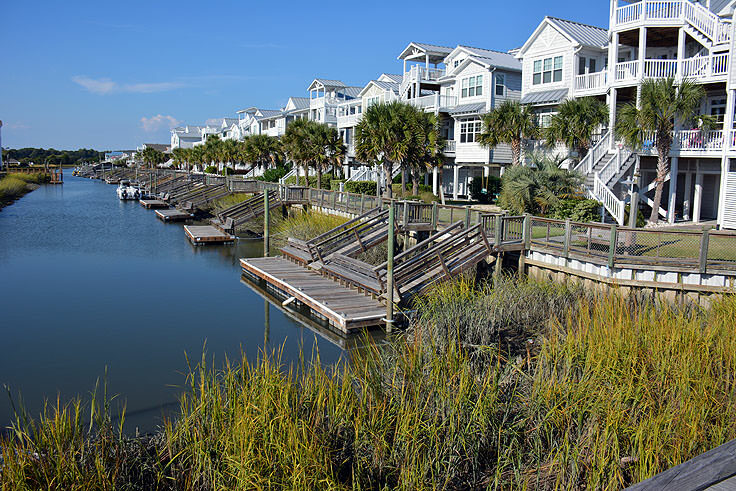 There are also a number of rental businesses that feature jet skis, kayaks, and even boats so visitors can spend a full afternoon cruising the ICW in their vessel of choice and admiring the wide open views. 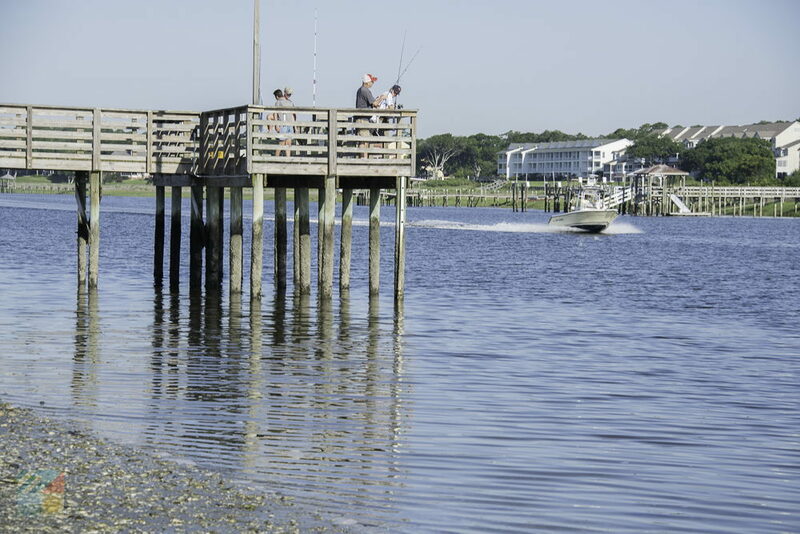 Fishing is an especially big outdoor activity, and the island is home to the renowned Ocean Isle Pier and Arcade, where many anglers spend their hours. The fishing pier which also features an on-site grill, bait and tackle shop, and game room for the kids, has more than enough extras to keep everyone in the crew entertained. 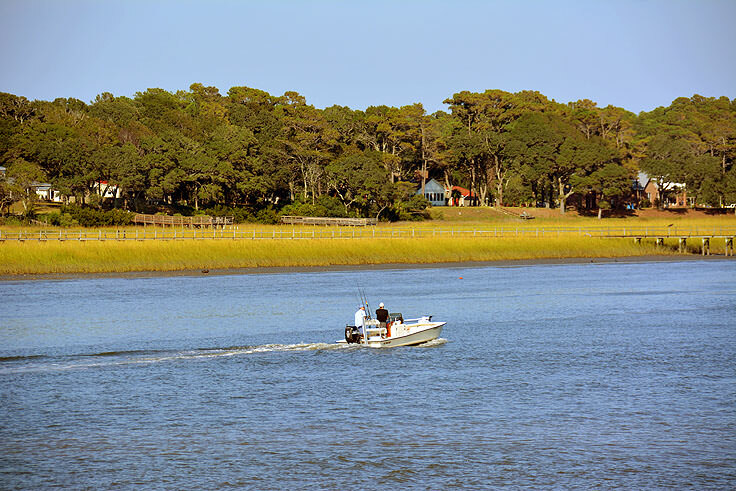 The Ocean Isle Fishing Center is another hot spot for fishermen, as the complex features a world of apparel, gear, charter fishing trips, sunset cruises, boat rentals, and even seasonal lessons for anglers who want to improve their game. Open year round, and covering all aspects of the coastal fishing scene, the massive fishing center is a popular first stop for vacationing fishermen who are eager to get their lines wet. 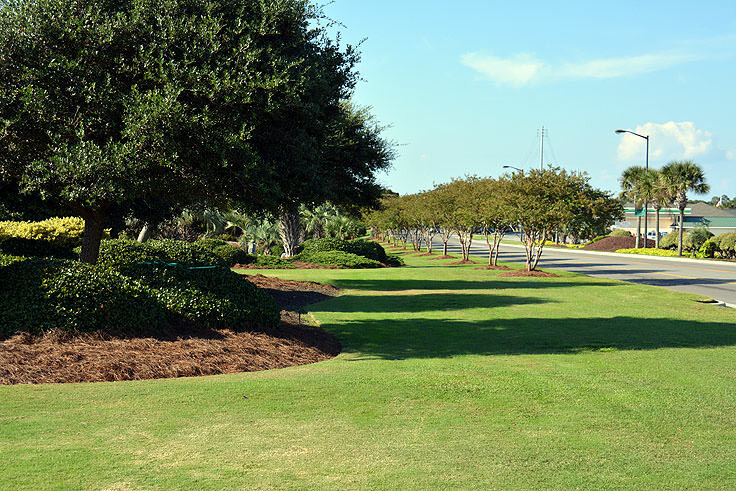 The newest attraction on the mainland region of Ocean Isle Beach, the Ocean Isle Park and Amphitheater, shows a promising future as the upcoming venue of choice for a number of summer festivals and concert series, although beachside visitors will find ample ways to have fun by the shore as well. 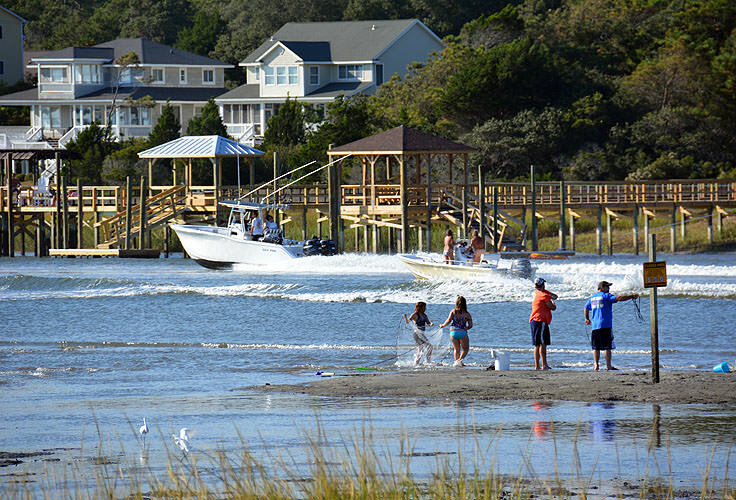 Seasonal vacationers will find a number of fishing tournaments, kids programs hosted by the Parks and Rec department as well as the Ocean Isle Beach Land Conservancy, and holiday celebrations which include a 4th of July fireworks display over the water. Rainy days never put a damper on the local fun, as visitors can explore the Museum of Coastal Carolina, an extensive complex which includes a series of galleries and exhibits dedicated to the coastal environment, with plenty of interactive displays to keep kids entertained.The inland Silver Coast Winery is an equally popular destination for adults, and features daily wine tastings and special events of live music on a regular, if not weekly, basis. When it comes time to eat, hungry visitors can curb their appetites with a range of beachside fare, from classic slushy stands adjacent to the pier, to fine dining options that border the ICW for incredible sunset views. With classic grills that serve up the fresh catch of the day and local joints that specialize in NC barbecue, visitors will find all the delicious staples that come standard with a great coastal North Carolina vacation. In addition, many of the local bars and grills are open late, so patrons can relax on a waterfront deck, enjoy a little live music, and unwind with an after-hours cocktail and an incredible vista. The area is equally diverse when it comes to accommodations, as the island features several locally owned inns, motels and B&Bs that are perfect getaways for long weekend visitors. 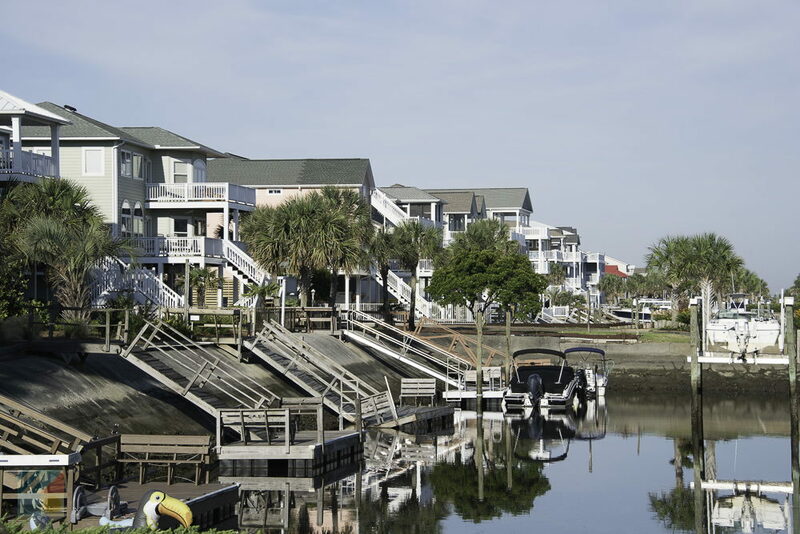 Vacationers who intend to stay a week or more with a crowd may want to scope out the wide selection of vacation rentals that range from the oceanfront to the borders of the ICW, and can feature a number of amenities including private boat docks and launches, private pools, hot tubs, and a number of other features that allow guests to relax in style. The majority of homes, duplexes and condos are rented on a weekly basis by local property management companies, and visitors can browse and even book their favorite rental online for convenient vacation planning. 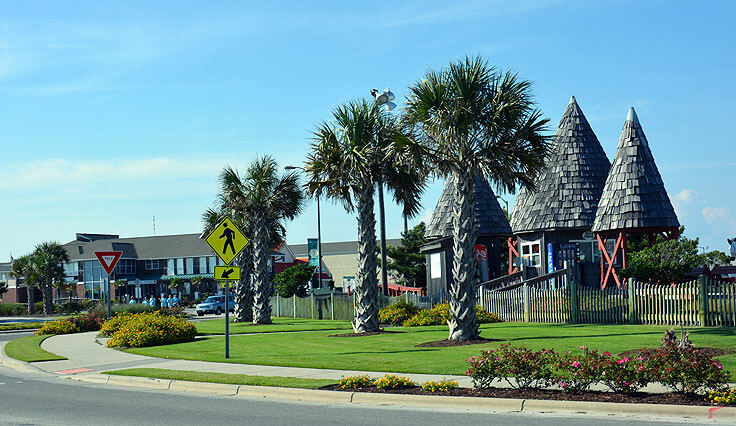 It seems that no stone or seashell is unturned when it comes to providing an accommodating beach vacation destination, as Ocean Isle Beach has all the attractions, amenities and gorgeous shore side landscapes that any water lover could ask for, and so much more. 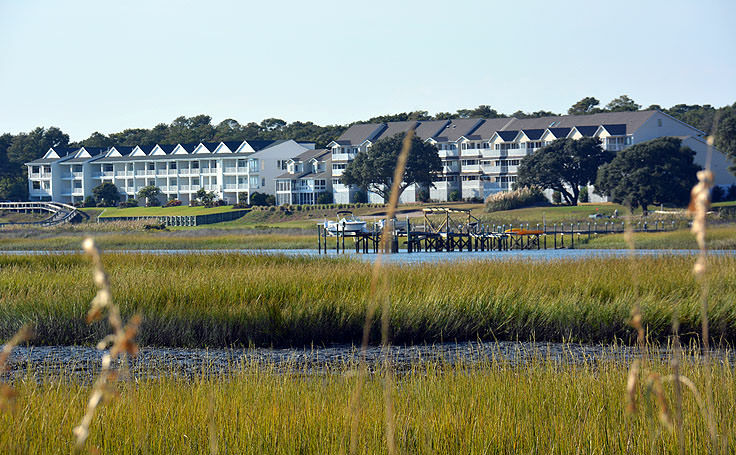 With fantastic rainy day adventures, countless watersports, and everything under the sun that completes a great destination, this convenient little island is building a big reputation as Coastal Carolina's hottest place to be.